Translate English Russian. The need to translate English to Russian online have skyrocketed over the past couple of decades. Thus, cost-effective strategies have never been in greater demand than it is now. As part of my experience and my intention to meet the world changes, I have summarized 5 key factors to help your business cut down expenses significantly on English to Russian translation services. 1. Define the goal: why do you need to translate your document. Before placing an order, it’s very important to define the goal why you need to translate Eng Ru. E.g. it’s pretty understandable to everyone why you need to translate diplomas, certificates, logistic documents, manuals. When you need to translate a website, an advertisement, a leaflet, an article, you need to ask yourself what goal you are going to achieve by translating this text from English to Russian. E.g. if you want to translate your website, then the final goal would be to attract the Russian-speaking target audience. Therefore, the translation process will be very different from the one when a translator deals with certificates, diplomas, and manuals. 2. Choose a freelance Russian language service provider rather than a translation company to translate English Russian. If you want to save extra costs, you should avoid translation companies and agencies to translate English to Russian. Initially, translation companies and agencies are organized businesses. Their primary activity is to coordinate and provide multi language-related services. Therefore, they have got quite big business expenses: office rent, management staff, additional taxes. In most cases, they pass these expenses on to their customers. Professional freelance translator intends to get more visibility on the Internet and to build a good reputation. And this is only possible through delivering high-quality English to Russian translation projects. What is more, freelance translators are registered as a small business. They do not have to pay office rents as all of them work from home. They do not have to pay management staff, as there is none. They do not have to pay big taxes as companies do. 3. Choose the best Russian translator tailored to your needs. Another secret to save costs and get perfect English to Russian translation services is to consider a translator’s area of expertise. As a rule, to succeed in the translation and localization industry, a freelance translator chooses an area of specialization relevant to his or her academic, professional or other related experience. For example, if you are planning to enter a Russian-speaking market, you need to translate your website. You will also have to find a Russian translator, whose main area of expertise is website translation. This kind of translation is a complex process involving keyword research and analysis. In case you decide to use Russian translator services whose main area of expertise is not website translation, you might have a risk of useless translation investments. That’s why always double check if the freelancer will be able to translate English to Russian according to your needs. 4. Translation memory tools can effectively save your budget. Professional Russian translators implement computer-assisted translation (CAT) tools to develop a Translation Memory for all the projects that they translate English to Russian and other language pairs. Each TM is a separate client proprietary database. It stores units of the English language with its translated equivalents in Russian. A CAT tool uses a TM and automatically translates repeated sentences by pulling translation of a 100% matched and previously translated English sentence from the database. TM is most effective on repetitive texts, such as user manuals, specifications, user interfaces, and support documentation for successive versions of the same documents. If your content fits one of these categories, it is possible to get much lower quotes because of the repetitions. 5. Translate English to Russian with crowdsourcing and MT post-editing services. Another factor to consider when assigning a project to translate English to Russian is crowdsourcing and MT post-editing services. These approaches offer a variety of financial benefits. As a rule, it is to measure the time necessary to meet the required quality. Currently, Engish Russian translators negotiate their own pricing as each project depends on such factors as the quality of the source document, the quality of the MT and the source and target languages. But in any case, it is much cheaper than human translation. 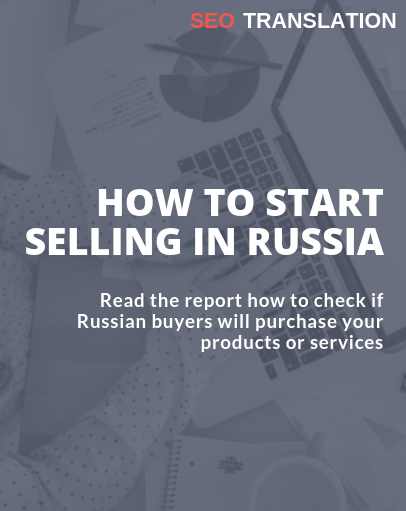 Hanna, how can I determine whether a Russian translator will be able to localize my website properly, following keyword research and all the SEO points in the Russian market? Highly appreciated, Hanna! We have got big volumes of technical documents to be translated into Russian. Are there any ways to find out what is the percentage of the words which are repeated? What a good idea to save on Russian translator services costs! We have got lots of support emails and spend monthly lots of money on translating them into Russian. Now we will definitely try to find someone who can offer MT post-editing services. Thanks, Hanna, very informative. We were looking for the ways to save on English to Russian translation services but didn’t find anything. Your tips are great!